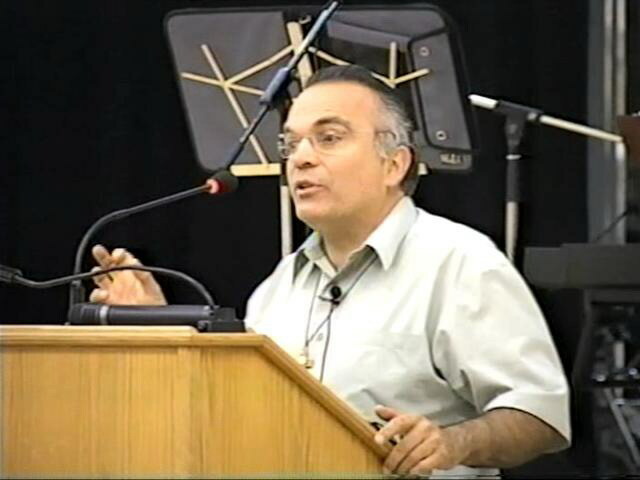 The conversion story of Marino Restrepo is one Catholic conversion story you don't want to miss! Never before since reading Scott Hahn's Catholic conversion story many years ago have I been SO impressed and never before has a conversion story had such an impact on me than this one! Prophetic Preaching For Our Times! 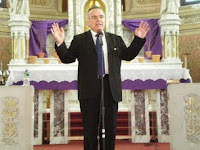 Amongst other things, Marino is an eloquent and prophetic preacher calling all Christians and Catholics to wake up from their sleep of weak and undiscplined Christianity which asks only what the Lord can do for us, for ME and start to say yes, Lord, I'm your soldier what can I do for you? Hailed as the new St Paul of this new Century Marino Restrepo has been travelling globally for ten years and he brings home the truths of the faith well and in an uncomprising manner. Marino was born in Colombia and left the Christian faith at the age of 14 and embraced many New Age and pagan philosophies. He categorically rejected any existence of hell and satan and for him, God was merely a cosmic life energy 'force'. Then suddenly all that changed, Marino was kidnapped by Colombian terrorists and during his captivity in brutal circumstances he underwent a near death and profound conversion experience. But for the grace of God Marino would have ended up in hell for all eternity but instead he was given a treasure trove of infused knowledge from Jesus and his blessed Mother and revealed many mystieries of the Kingdom of God. Tirelessly Marino travels the world and has set up the lay association the Pilgrims of Love to spread and to live the messages which are none other than a concrete and practical living out of the true and full Gospel message which Marino does not water down to 'tickle the ears' of his listeners. Today is the day of salvation, don't miss this great opportunity to find out more about the real faith, the real truth. Your spirit will testify inside as you hear Marino speak that here is a man who has seen and lived these realities in his life that indeed went to hell and back! A voice of God in the desert of this spiritually undernourished world!